Welcome to Bacon Freak's Media Center! Woo-hoo! This page is where all the fun stuff happens! Okay, okay. We know that bacon is already fun... 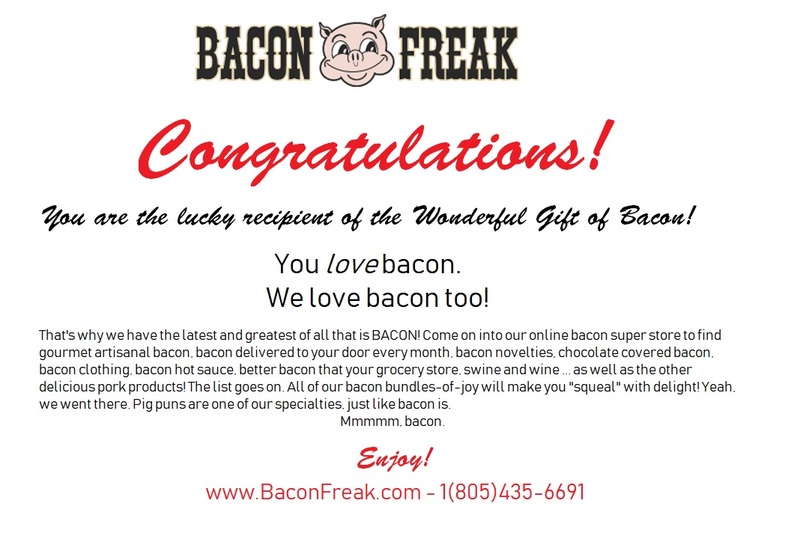 But here is where, you (our awesome customers), can interact with BACON! Get a new recipe, submit your photos, hear about new products, learn what others have to say, or just find out some cool stuff about bacon! This is where it's at, Bacon Freaks.